This is a wonderful tale of knights, dragons and battles! A boy and girl work together to rid their land of Flamethrottle the dragon for ever, using both ideas and creativity to make a mechanical dragon. The illustrations are in vibrant colour, full of detail and jokes. Will young readers want to make their own dragon-battler? 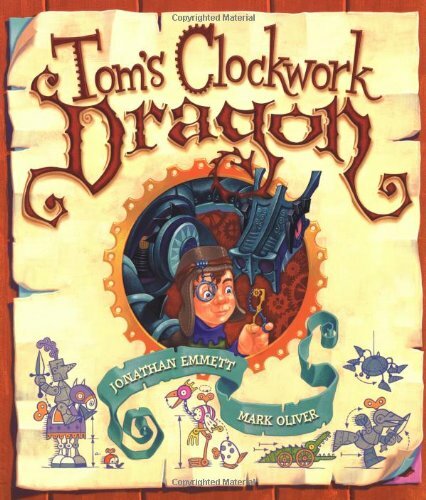 They will certainly want to read this tale again and again, for tension grows as Flamethrottle almost defeats the clanking, run-down clockwork dragon. At this point, the resolution is held in the balance, providing an ideal opportunity for children to create different story endings. Rich in language and illustration and begging to be dramatised, this book will be highly successful with lower junior readers.